ZENLIX is amazing helpdesk product! LDAP — authorization and import users. Full access control system based on groups. No limits to tockets and users. Can fetch tickets from IMAP/POP3/NNTP. Long time update system by one click. Russian, ukraine и english interface language. By all actions with tickets and users. Try communication, as in social network system. Can connect system to other services and systems. Can configurate mail templates via Code. You can use web-interface on all devices equally comfortable. It allows you to quickly make decisions and understand what is happening with the tickets. Based on the principle - powerful features for easy operation. With this function, you can adjust the individual forms create tickets for users and user groups. More than 20 customizable options. Multifunctional system reports using e-mail messages, SMS, pushbullet-messages, pop-up notifications in the web web browser. 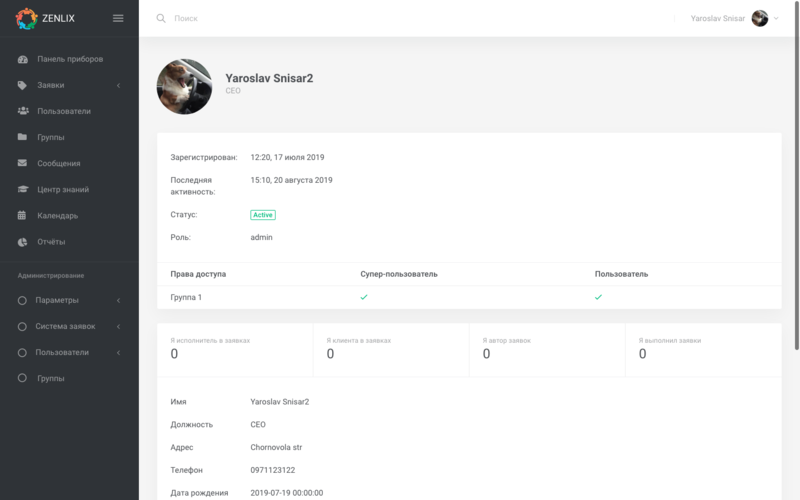 You can forward the tickets to take the work, perform or verify the performance of tickets within the privileges assigned to you about your group or individually. Sets regulated response time for a request depending on the priority of the ticket. Sets the maximum regulated the execution of the application, depending on the priority of the ticket. Sets the time of the deadline for implementation of the ticket, depending on the priority of the ticket. Always available system updates to new versions. No limits to time to use. This version (v3) have long time develop. 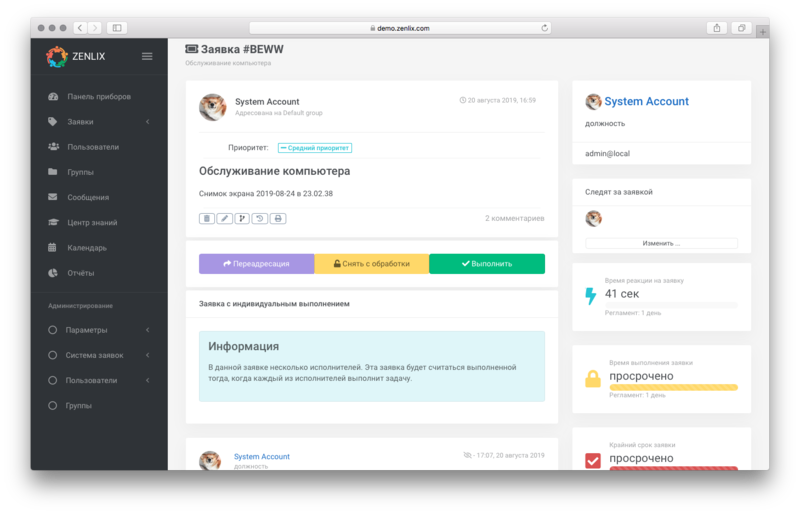 System based on Laravel and work very good. 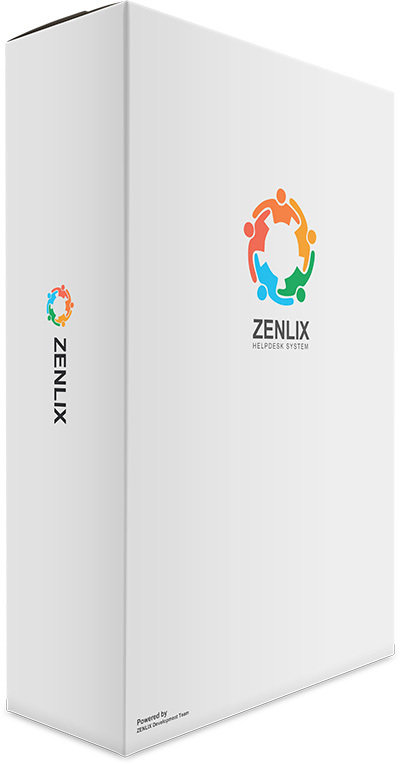 Sign up now to take advantage of demo access and enjoy all the features ZENLIX live.